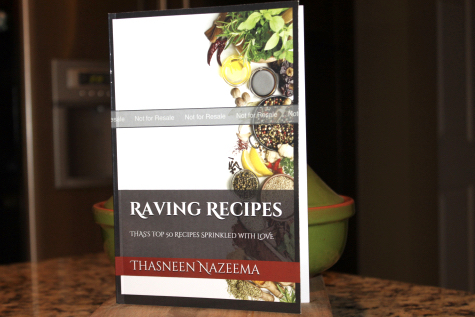 I am thrilled to share my first cookbook with all my dear readers- Raving Recipes. The cookbook is available on Amazon. My food blog is turning ten this year (2019); it’s been a phenomenal journey cooking, blogging, and connecting with foodies around the world. And, this cookbook has certainly added so much excitement. I’ve been working on this book for the past few months and finally it has come along great. I would like to thank my Man for his generous support and love. Thanks to all my readers and followers for the constant support over the years. In this cookbook, I showcase 50 of the best recipes that I have tried in my kitchen, each one many times over the years. All of them are my personal favourites, some are my family’s favourites, and some are loved by my readers. With detailed preparation steps, I assure they will turn out delicious in anyone’s kitchen. 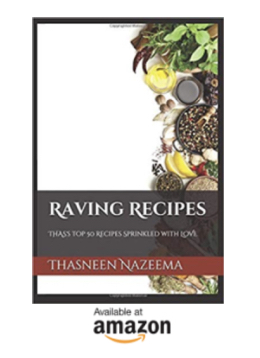 Grab your book, get into the kitchen, cook these raving recipes, and enjoy.